On Wednesday 25 May, the Science Council hosted a Professional Development Zone at the SLS Laboratory Show and Conference. 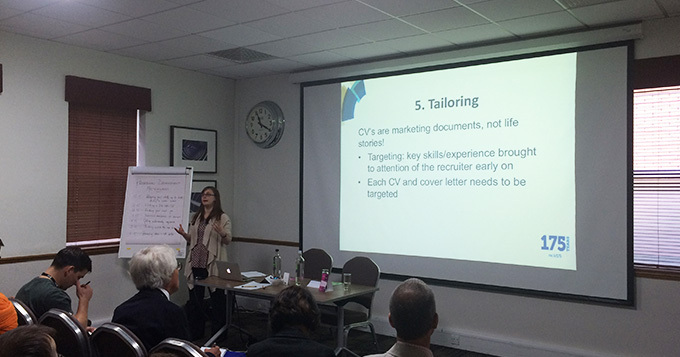 One of the features was a programme of short 15-minute masterclasses on a variety of topics, ranging from keeping skills up to date during a career break to advice on presenting better. We would like to thank Suzy from Journeymen Scientists, Alice from the Royal Society of Chemistry and Tanya from the Association for Science Education for delivering some excellent presentations. The audience were also on top form, with searching questions being asked and answered throughout the day. If there are any areas of professional development you think the Science Council should provide for our registered professional scientists, get in touch or comment below.